The process is simple. 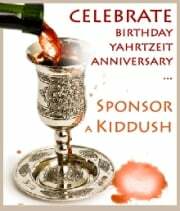 Call Rabbi Mordechai Andrusier at 954-638-7800 with some basic information about the car. We accept all car donations, including RV’s, boats and cars that no longer work. If you need we can arrange to have the car picked up from you – at no cost. One of our car dealers will do all the legal work and transfer of title for you. We will provide you with a receipt acknowledging your donation which you can use for a credit on your tax return. There is no tax on the capital gain of publicly traded securities if they are donated to a public charity. 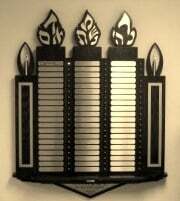 Contact Rabbi Mordechai Andrusier with the name of the shares or bonds you wish to donate. 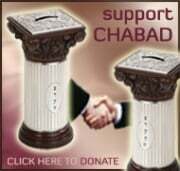 A tax-receipt is issued based on the market value of the transferred securities on the day Chabad receives them in our account. However, the amount credited to the donor will be based on the proceeds realized from the sale of securities, less selling commission. Do you have a piece of land or property that is becoming a nuisance with all those accruing taxes? Real Estate donations can provide you with the most beneficial tax deductions and allow you to achieve significant and important charitable goals. If you prefer, a gift of real estate can also provide regular income for you through an annuity, and you may also be able to continue to live in or otherwise use the property, rent free, even after you donate it. Private homes or condos, commercial properties and undeveloped land all can be donated. However due to the unique nature of each property we can not guarantee that we will accept every real estate donation. There is no cost to you to have one of our experts come out and assess the property value for you. We can accept donations of used clothing, books, furniture and appliances. If you have such items to donate please call Goldie at 954-608-0897. 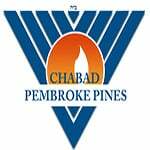 For personal assistance, and to discuss any of these options in more depth please contact Rabbi Mordechai Andrusier at 954-6387800 or at office@jewishpines.com. We have several professionals in every field that we work with who will ensure your gift is made properly and in a hassle-free manner.